One of the most densely populated places on earth only has two cardiac surgeons to serve its entire population. According to Dr. Nasser Tatter, head of Shifa hospital’s cardiology unit, that only explains part of the medical crisis that exists in the Gaza Strip today. “We are in bad need for cardiac surgeons,” said Dr. Tatter, further explaining that one of the two surgeons is ill and unable to perform surgeries. The second, Tatter added, isn’t able to work independently, rendering Gaza devoid of specialists able to perform open heart surgery. Israel’s sanctions and siege regime imposed on Gaza’s 1.5 million Palestinian citizens has been in place since March 2006, shortly after Hamas was democratically elected in internationally monitored elections. It was further tightened in June 2007, when Hamas gained control of the Gaza Strip in factional fighting with the rival Fatah political party. The years of closed borders has severely crippled Gaza’s health sector, denying patients vital medicines, replacement parts for hospital equipment, access to outside medical care, and preventing the entrance of outside expertise. Moreover, Gaza’s civilian infrastructure was devastated during Israel’s three week assault on Gaza (December 2008-January 2009), making the treatment of patients within the tiny coastal territory near impossible. After listing the urgently needed equipment and medical supplies Dr. Tatter explains that “We have enough for maybe five operations.” He adds that in the past it took a month to get even basic supplies and solutions. Roughly 10 years ago, surgeons were coming to Gaza from different countries, staying on to provide training and/or operations. Today, the Israeli siege, supported by Egypt has made it near impossible for visiting doctors to enter Gaza, no matter how badly they are needed. From 4 May to 22 May, a group of visiting medical specialists attempted to enter Gaza via the Egyptian-controlled Rafah crossing. Three medical professionals, two from London’s Hammersmith Hospital, waited nearly one month for permission to enter Gaza, to establish a cardiac surgery unit at Shifa Hospital and to provide some of the vitally-needed training to doctors and medical students. Omar Mangoush, a cardiac surgeon at Hammersmith, Christopher Burns-Cox, a retired consultant physician, and Kirsty Wong, a nurse at Hammersmith Hospital were the latest team to head to Gaza via Palestine International Medical Aid (PIMA), a UK-based charity which has successfully sent two medical delegations to Gaza already this year. On 19 May, after two weeks of being denied entry by Egyptian authorities, the Hammersmith team, joined by six other doctors and nurses, began a hunger strike to protest the banning of medical expertise from Gaza. Even when Code Pink and Hope convoys were granted entry, Egyptians controlling Rafah refused to allow the Hammersmith team into Gaza. 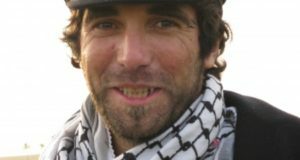 Christopher Burns-Cox, who has previously visited Gaza five times in order to provide medical training, reported that he’d planned to both consult with medical students at Gaza’s al-Azhar University and with patients at the Strip’s al-Wafa rehabilitation hospital. He added that his colleague, Dr. Mangoush, was “keen to restart what is life-saving and not necessarily very expensive surgery.” However, since both of his colleagues were using their leave time to travel to Gaza and due to the wait at Rafah crossing, it is unlikely that either will be able to return any time soon. Although not accompanying the Hammersmith team, Dr. Sonia Robbins, a plastic and reconstructive surgeon from the UK, also found herself locked out of Gaza, although she is a regular visiting doctor in Gaza. Just a few days after the PIMA trio left, the siege claimed Gaza’s 337th victim, according to the Palestinian Ministry of Health. Muhammad Rami Ibrahim Nofal, a one-year-old infant from Khan Younis, died on 25 May precisely because of the inability to operate on his heart. 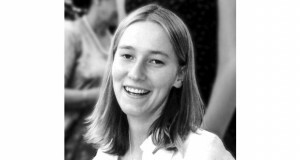 Eva Bartlett is a Canadian human rights advocate and freelancer who arrived in Gaza in November 2008 on the third Free Gaza Movement boat. She has been volunteering with the International Solidarity Movement and documenting Israel’s ongoing attacks on Palestinians in Gaza. 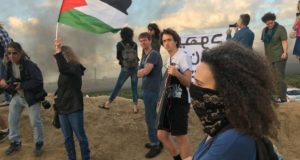 During Israel’s recent assault on Gaza, she and other ISM volunteers accompanied ambulances and documenting the Israeli attacks on the Gaza Strip.